The magic is out of control! Her creation is worth a small fortune. But can Daja bargain with the Traders who cast her out without losing her soul? 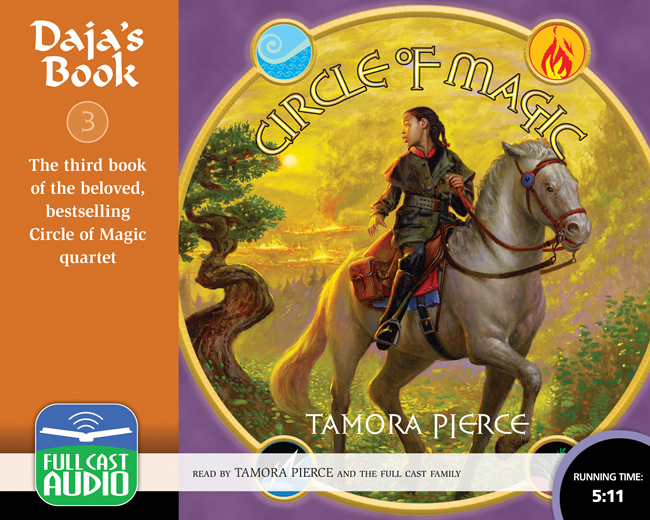 Once again, Tamora Pierce, America’s most popular writer of young adult fantasy, leads the Full Cast Family in a thrilling exploration of her intricately woven Circle of Magic. Follow the adventures of all the young mages-in-training with Tamora Pierce’s Circle of Magic series.